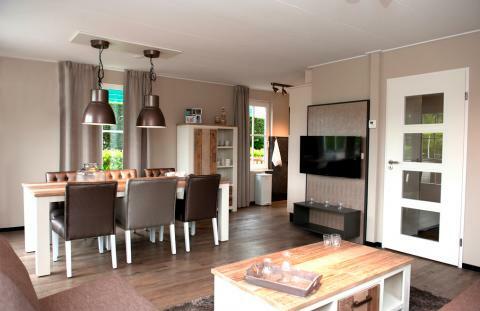 Landal Villapark Livingstone in Burgh-Haamstede - the best offers! This price applies to 6-person cottage 6C2 Comfort, with the arrival as 27 May 2019, 2 Nights. This price applies to 6-person cottage 6L Luxe, with the arrival as 27 May 2019, 2 Nights. This price applies to 6-person cottage 6EL Extra Luxe, with the arrival as 27 May 2019, 2 Nights. This price applies to 4-person holiday house 4L Luxe, with the arrival as 27 May 2019, 2 Nights. Maximum two pets per accommodation (upon request). A surcharge will be applied if you request is accepted. 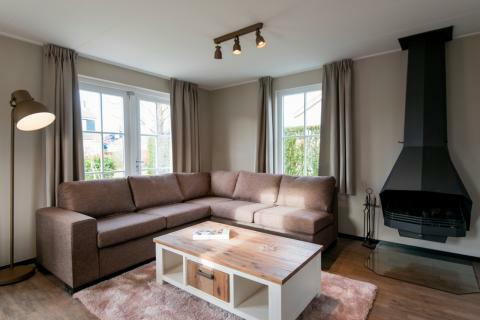 The comfortable, detached villas at Landal Villapark Livingstone provide a carefree, relaxing and luxurious holiday in the beautiful surroundings of Zeeland. The beach is only 2.5 kilometers away and the area is full of beautiful bike and hiking trails. Enjoy the carefree life of Zeeland and the ultimate holiday feeling! Most facilities are located just outside Landal Villapark Livingstone. In the adjacent sports center, there is plenty to do for young and old, including bowling, miniature golf, tennis, badminton and billiards. Just 500 meters from the park is an 18-hole golf course. For other services, such as the mini-market and bicycle rentals, please visit Landal Resort Haamstede (directly opposite the park). The kids will not forget their stay at Landal Villapark Livingstone. They will live and breathe the beautiful fresh air of Zeeland in the playground or the adjacent sports center. From mid April until late August there is an indoor children’s fairground, providing a variety of entertainment for all ages. There is also an entertainment programme with activities for adults and children which take place at Landal Resort Haamstede. Landal Resort Haamstede has a fantastic restaurant serving traditional Dutch meals. 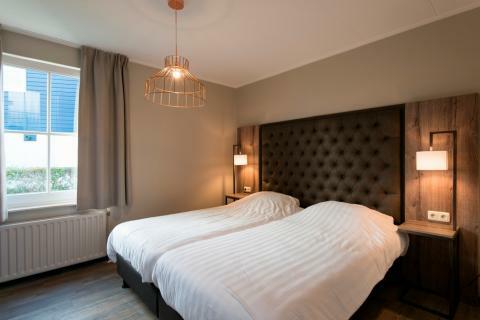 If you’d prefer to eat in the comfort of your own villa, you can get a takeaway from the restaurant of visit the supermarket at Landal Resort Haamstede. The area of Zeeland always gives us the ultimate holiday feeling. Think long walks, days on the beach and beautiful cycling routes. The dunes provide the perfect day of adventure and exploration, and the nearby Westerschouwen woods are ideal for a walk and a picnic. In the nearby town of Zierikzee you can learn about traditional Zeeland culture, enjoy some shopping and visit the Maritime Museum. There are numerous day trip opportunities in the area including Whale World and Waterland Neeltje Jans. For preferences, such as the location of your accommodation, a surcharge will be applied by the park.